Coffee table decor – The nicest thing of the day is when you can loosen up and put your feet up while enjoying an evening show or just reading your favorite book. But it is all gone at the moment you realize that your coffee table is not well-organized. 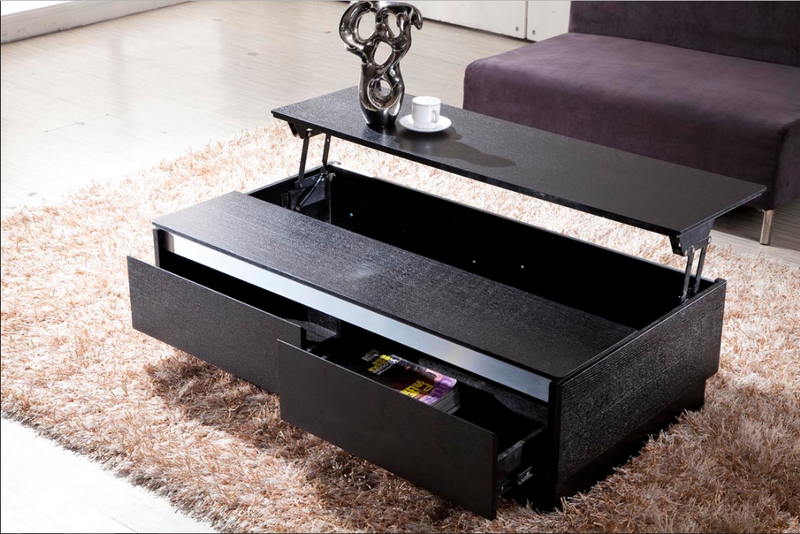 Maybe, you need to reorganize your coffee table decor idea so that it will look more attractive. Coffee table is considered to be the focal point of a living room. All the family members usually gather around the table to enjoy tea time or play a board game. No matter what you usually do with the coffee table, one thing for sure, you deserve acoffee table that meets you and your family very well. Here are 15 coffee table decor ideas that can make your living room more lively and, eventually, buck you up. An impressive coffee table is not always a lavish one. 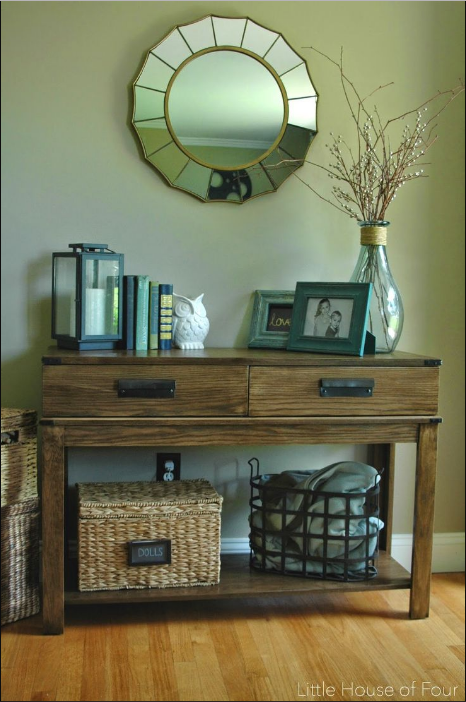 Even a DIY table made of used things can as impressive as the one that costs sky high. The key point is being unique and different. 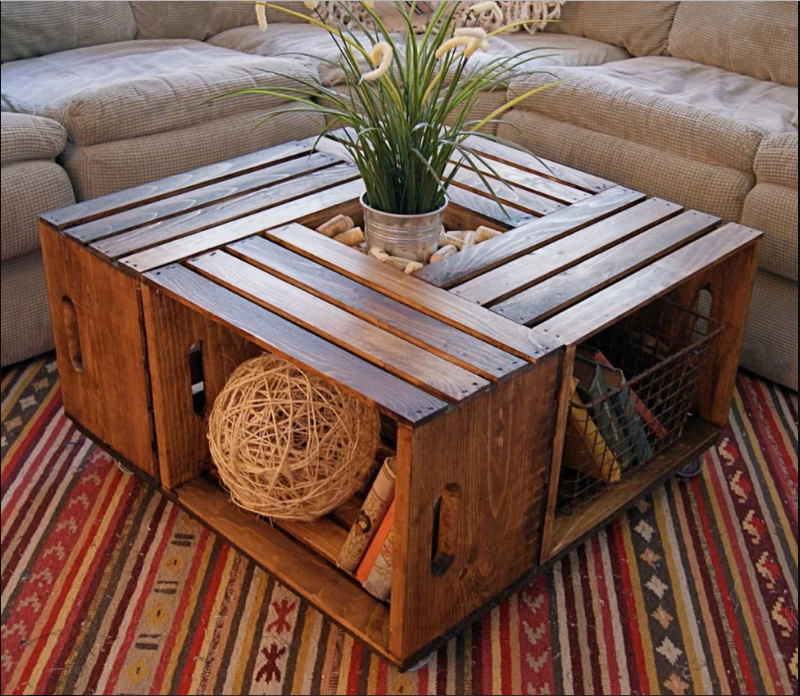 Applying a party theme, this unique coffee table is made of four used beer crates. There is a space for putting a plant in the middle of the table – giving a touch of a living thing to make your living room feel more alive. Instead of being put in a pot, the plant is put in a stainless bucket surrounded by corks, emphasizing the theme. Not only is the table unique, but it is also useful. You can store many things under the table── books, magazines, board games, you name it! And the most important thing is it is inexpensive. It is an inexpensive coffee table. It suits the colorful mat a lot. Creating this table takes time. Being small is not always about insufficiency, but it is all about simplicity. Yes. Simplicity has been one of the most favorable home decors lately. 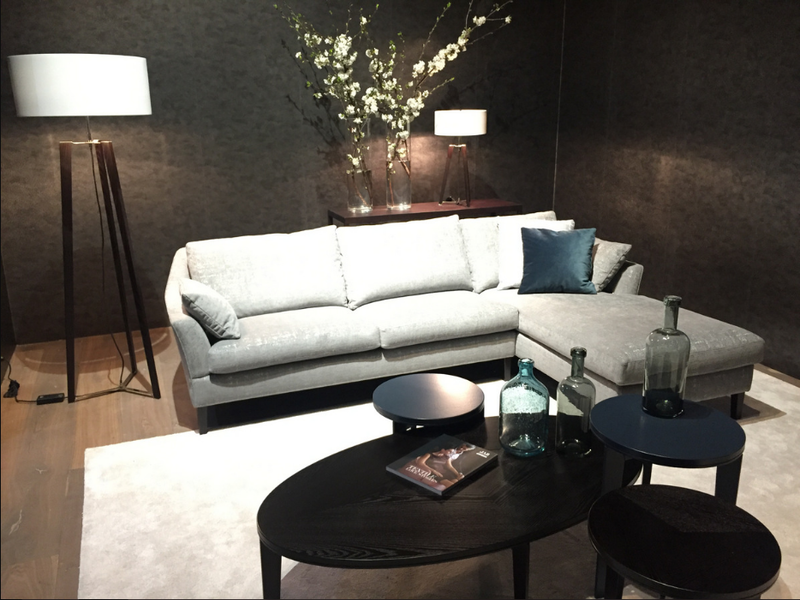 Despite being simple and small, the elegance is still defined very well, creating an elegant living room. Since it is a small table, you cannot put many things on it. As a result, it is not prone to being messy. But it does not mean you cannot put anything on it. You can still adorn it with a vase and decorative plant. Some books of your choice can also be smart decorations. Rusty metals, roughly finished walls, leather sofas, and old furniture. Yes, you are in a steampunk living room. Steampunk has always been eccentric and conspicuously cool with its copper finish and industrial look making the room look spectacular. The significant features of this style is the use of black, brown, and copper finish and the use of old furniture and fixture. 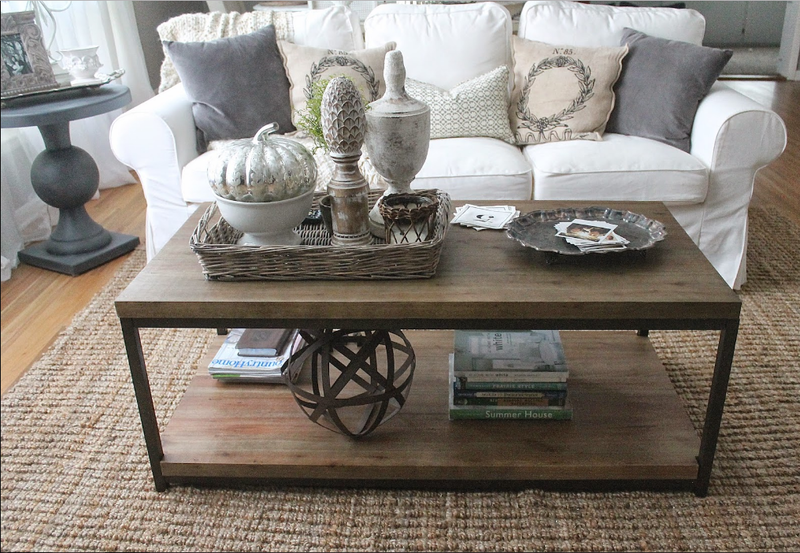 An old coffee table can be an icing on the cake. If you cannot find it in a furniture store, you will always be able to make it by yourself. 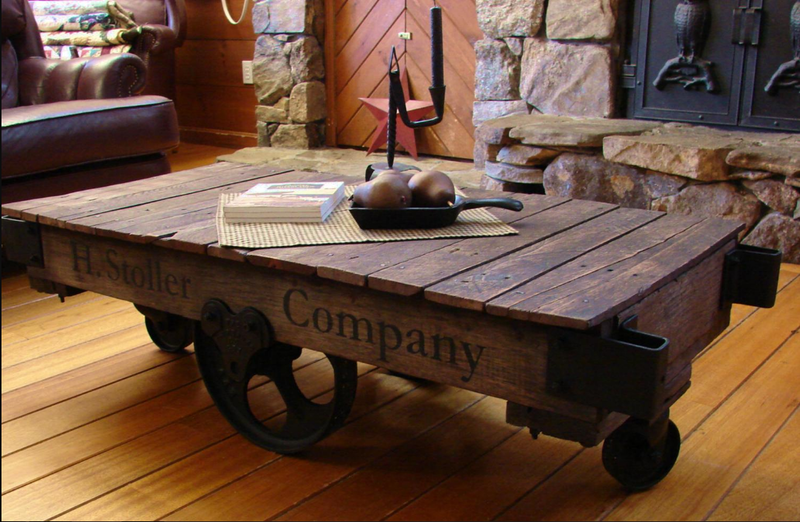 You can get some old yet sturdy wood planks and wheels to make a wheelbarrow-look table. It looks classic and cool. Black is one of the most versatile colors that can be used for adornments in any styles. It is the color of elegance, thus just paint your coffee table black and it is ready to kick your living room up a notch despite the simple design. The table itself is pretty unique with its adjustable pull-out surface. You can pull the surface out to make it a bit higher, then you can push it back to its initial position. To accentuate your black table, add a single statement such as a simple and unique sculpture or any pretty planter that can be the focal point of the table. 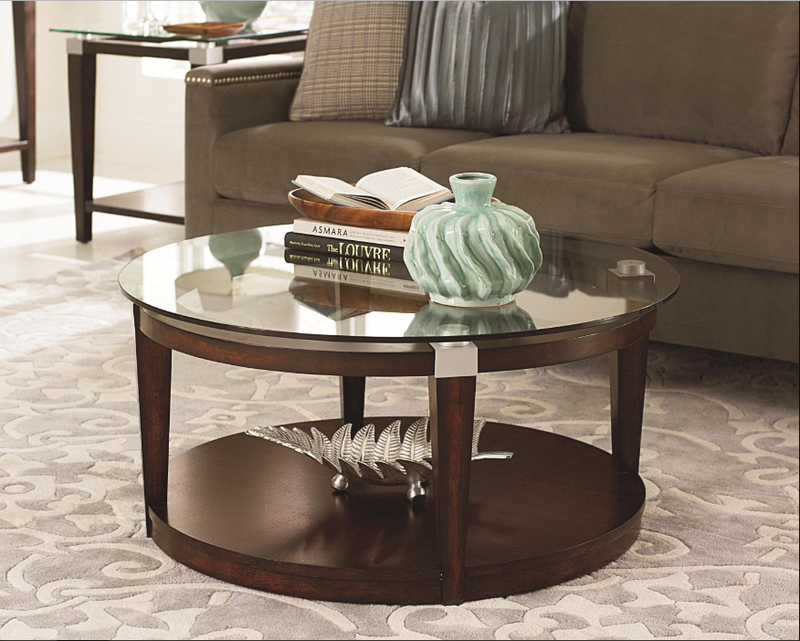 As the centerpiece where your family members gather and share their stories, your coffee table is prone to clutter. Your kids like playing cards or snakes and ladders, spending time together. Unfortunately, tidying up is not their cup of tea. As a result, your coffee table turns into a mess. Try making your table more practical by adding a bronze tray to stash cards or any other miscellaneous items so that your kids will find them easily without compromising the neat look. Do not forget to stack some of your favorite books on the lower tier of your coffee table so that you can grab them easily when you want to read them. Adding some old sculptures or jars can accentuate your vintage living room well. Stick to simplicity and practicality is not always tedious. In fact, it can be a great way to represent your simple personality. Keep being simple does not mean brushing over the details and picking a coffee table randomly. 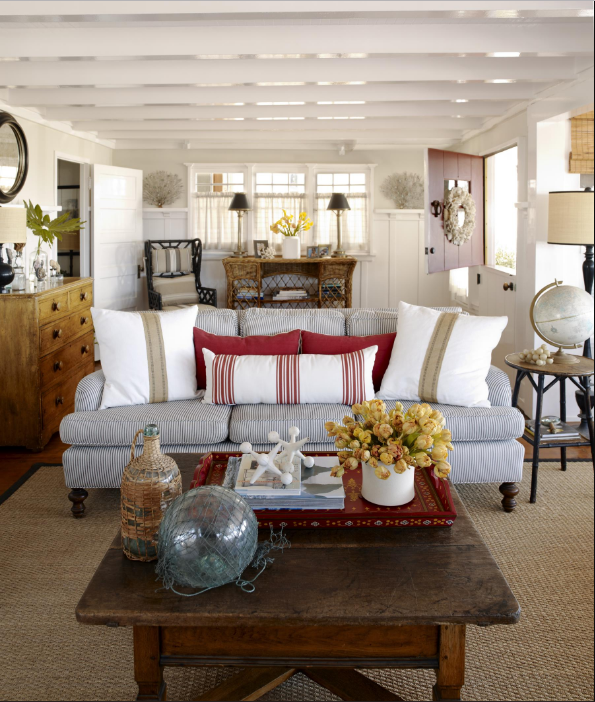 Arranging coffee table entails paying attention to the colors of the living room including the walls, sofa, and carpet. The table has to interact with the other things in the room very well in the term of shapes and colors. This brown coffee table suits the sofa and carpet very well. The colors and edgy shapes denote the boldness of the room – eminently simple, yet elegant. Since the table looks elegant, you do not need to add too many adornments to embellish it. A single stack of books or photo albums will be enough. Combining modern look with a bit of traditional look can create a convivial living room which may suit everyone’s personal taste. The minimalist design of the table representing modernity sits on a traditional straw mat, making a perfect combination to impress everyone who sees it. Instead of keeping knick-knack on the table, keeping it simple by putting a single decorative plant will look more elegant. Although magazines and books have been one of the most prevalent adornments, they never fail to make your table look amazing. Adding a narrower table next to the sofa is not a bad idea. It enables you to grab your coffee without breaking a sweat. Just put a photograph, desk lamp, and flower pot to spruce the table up. If you think that placing a table in front of sofas is a bit tedious, you something outside the mainstream of coffee table decor ── side table decor. The name has denoted the way it is arranged well. Yes, it is placed at the corner or at side of the room rather than in front of the sofas or in the middle of the living room as its focal point. Although it is not placed in the middle of the room, it can still become the focal point of the room if it is decorated properly. The decorations do not have to be lavish and sophisticated. Even books and photos can do in a pinch. The straw baskets used for storing things are icing on the cake. Playing with the height can add more interest to your table. Therefore, adding a tall vase with tall decorative plant will make the table conspicuously awesome. That is what a modern house is all about. Modern houses tend to use bold and edgy furniture with simple colors ── brown, black, gray, and white. It emphasizes on the practicality of the furniture, thus too many accessories will be a big no. 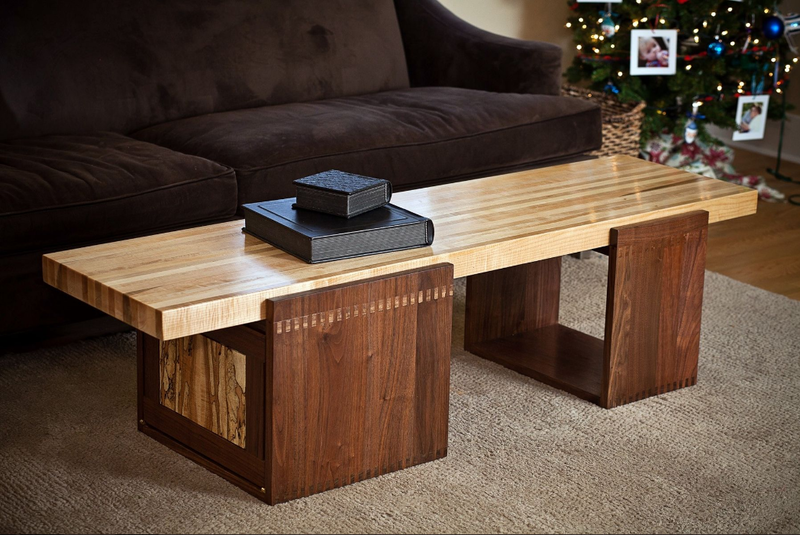 This coffee table provides a simple yet classy look. The distinctive design has already made it a perfect adornment for your living room although you do not put any sculptures or even photographs on it. The pull-out surface enables you to adjust the height of the table so that you can still enjoy working on the notebook. Roughly finished woods may look like an obsolete thing that will not appeal to anybody. However, when combining with a Victorian interior design, this table will turn into an impressive focal point. The key point is repurposing old things. Since it uses antiques for the decorative purpose, you do not have to burn a hole in your pocket. You can get what you are looking for in the thrift stores. It provides a classic touch in your living room. This coffee table only suits Victorian style that always uses classic and old things for its interior design. It will not suitable for modern houses which tend to be clean and neat. Modern coffee table decor always uses minimalist touch, ditching the odds and ends that are usually put to embellish a coffee table. The bold shape and color are the embodiment of masculinity. Instead of occupying only one table, you can try having more than one table ── or even four ── placed throughout the living room. One of the table should be placed near the sofa so that you can grab your wine easily. You can also use your coffee table to define your interest by putting what you are really into on it. It can be books, magazines, or even the bottles of liquor. At the moment of your friends walk into your living, there is no way they will not notice this conspicuous coffee table. 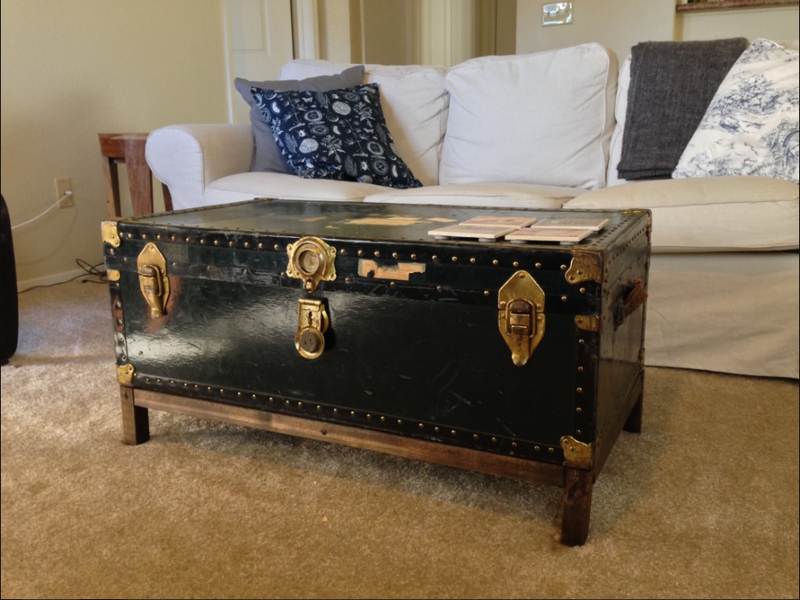 Instead of using marble or wooden table, this living room is decorated with a vintage treasure chest that has been turned into a coffee table. The details of the table mimic the treasure chests that you usually find in Pirate movies. It brings the adventure of a pirate right into your living room. Just like any other treasure chests, you can stash your precious things inside it. This coffee table is a perfect adornment for your living room because it does not only accentuate the room, but also buck your kids up by allowing them to act like a pirate. 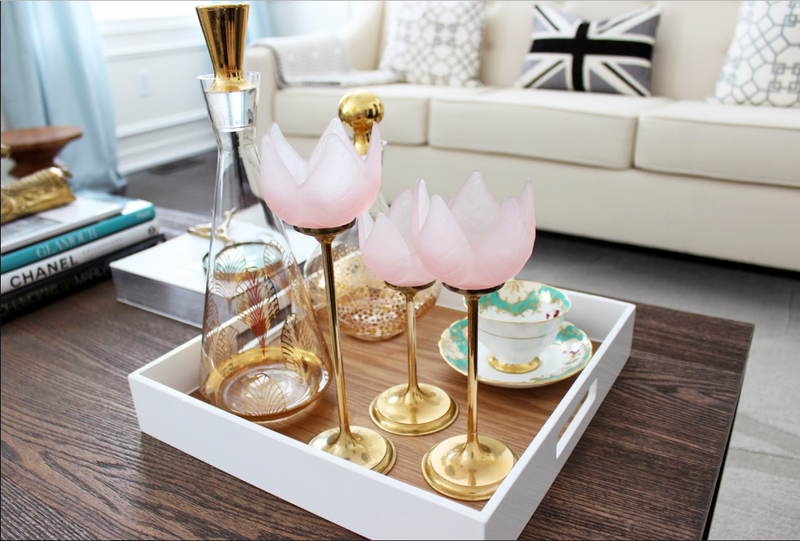 Tray is one of the must-have items when it comes to decorating a coffee table. Whether you want get rid of the clutter or adding a subtle nuance, trays will never fail to spruce your coffee table up. It is not like you simply put a tray on the table and the problem is solved. The tray is solely a “sweetener”. Put the miscellaneous items such as a TV remote and card games so that they can be found easily. The tray can also be used to serve drinks in a cool way. This rustic-looking table would not be a great centerpiece if it were not decorated thoroughly. Trays, books, and flowers have always been a convenient way to embellish a tabletop. Put a tray on the table to organize the things that are prone to be a mess. Find a tray with distinctive patterns to accentuate the rustic table. You can top the tray with books and flowers to create a perfect display. Bring out your creativity by harnessing eclectic mixture as the tabletop decorations. They can be anything, from a unique sculpture to a bottle of wine. Cramped living room with a single narrow coffee table can be challenging. Since the table is so narrow that you cannot put a lot of things on it, try putting a single decorative item. A tall vase with tall decorative plant will be your safe bet. The height of the plant will easily grab everyone’s attention. You can also place a jar filled with fish in place of the vase. The swimming fish will jazz the table up. Those are 15 coffee table decor ideas to enliven the tabletop, creating a subtle nuance to your living room. Do not be overwhelmed by those fantastic ideas. If you want to embellish your coffee table, but you have no idea what to begin with, the versatility of books, flowers, and trays can do in a pinch and be your safe bet. Although they have been widely used as decorative items, they still seem appealing to anybody. Coffee table decor idea can be a perfect way to define your personality by “showing off” what you are into despite the size of the table. Whether it is a small or wide coffee table and how you adorn it, the table has to be practical and function as what it really is a coffee table.